Every year we follow all legislative amendments, new decrees and regulations. That is why we became an official partner of the 223rdŽofín Forum that is organized under the auspices of Miroslav Toman, the Minister of Agriculture, again this year. 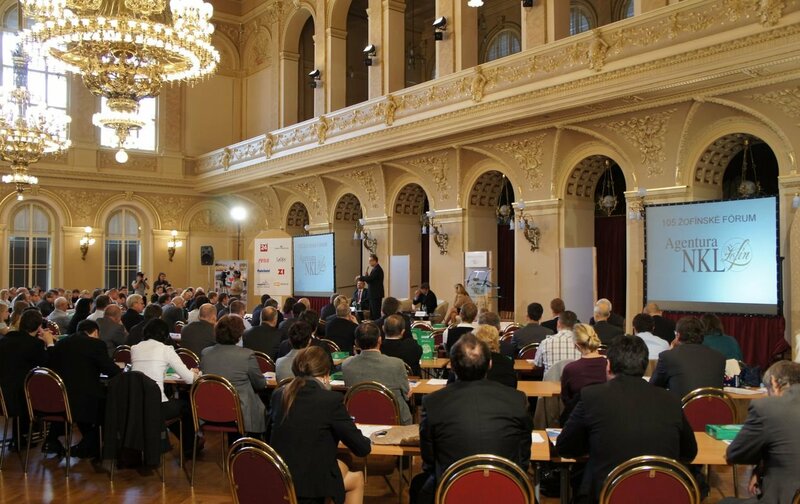 This forum will be focused on the topic of "Food Industry from Czech Customers'Prospective. Supply, Quality, Price". The following speakers who will be glad to subsequently answer your questions will present themselves at the conference: Miroslav Toman (Minister of Agriculture), Hynek Strnad (Vice President, Federation of the Food and Drink Industries of the Czech Republic), Martin Šebestyán (Director, State Agriculture Intervention Fund), Martin Klanica (Director General, Czech Agriculture and Food Inspection Authority), Martin Peffek (Company Director, Penny Market s.r.o. ), Tomáš Prouza (President, Czech Confederation of Commerce and Tourism), Zdeněk Juračka (Chairman of the Board, Association of Traditional Czech Commerce), Monika Nebeská (Chairman of the Board, ZD Všestary) and Jiří Vaníček (Agentura NKL s.r.o.). The "Vyrobeno podle české cechovní normy (made in compliance with Czech guild standard)"and "Cena za nejlepší inovativní český výrobek (award for the best Czech innovative product)"certificates will be awarded at the forum too. The 223rdŽofín Forum is held in the Large Hall of Palace Žofín on 4thOctober 2018 from 1 p.m.
We are looking forward to all visitors and we will be pleased to answer your questions regarding food safety, quality and legality.